The People’s Choice Classic was a fast race with a fast sprint finish. The team worked very well, following the plan the sport directors had set. When the final sprint started, I found myself a bit closed but I then took Greipel’s wheel and managed to beat the others on the line. I’m very happy with this result for me and the team. Thanks to BORA, hansgrohe, Specialized and all the sponsors and partners of the team for their support. The People’s Choice Classic boli rýchle preteky s veľmi rýchlym záverom. Náš tím dnes pracoval veľmi dobre, išli sme podľa plánu, ktorý nastavili naši športoví riaditelia. Keď sa začalo špurtovať, bol som trochu zavretý, ale potom som sa chytil Greipela a podarilo sa mi zvíťaziť. Z tohto výsledku sa naozaj teším. 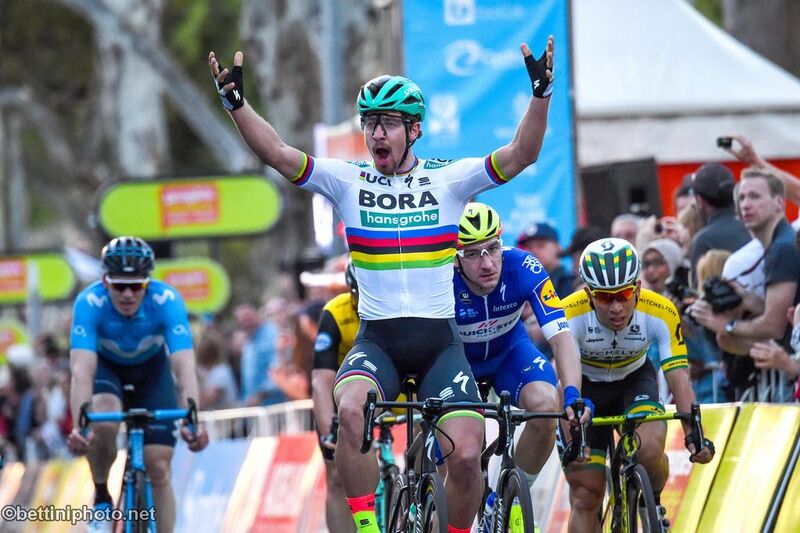 Ďakujem BORE, hansgrohe, Specialized a všetkým mojim i tímovým partnerom za podporu.